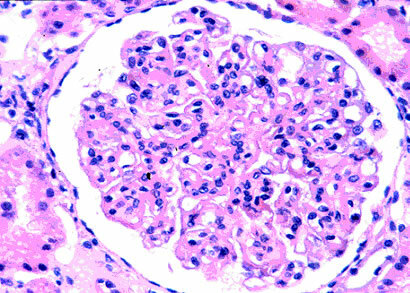 KDIGO guidelines are proposed this year in recent Kidney International on glomerular disease. 2. Conditions to consider are: Infections like Hepatitis C, autoimmune diseases, MGUS, complement dysregulation and chronic thrombotic microangiopathy and to treat those underlying conditions. 3. Adults and children with idiopathic MPGN with nephrotic syndrome and progressive decline in renal function receive oral cyclophosphamide or MMF with low dose alternating steroid for 6 months( Grade 2D).